Why Minister Jeff Johnson Needs a Sober Second Thought?? A colleague has eloquently written on this topic. Some really great insights and summary of the issue. Let’s begin the new year with a nuts and bolts educational issue. (My New Year’s Resolution is to say less about hot-button political issues and make fewer needless enemies…). In this post I consider the place of final exams. In the next post I consider the place of lectures in teaching. Should the Government Make it Easier to Fire Incompetent Teachers?? Prevailing public opinion would suggest they should. The government is spending a lot of its media “face time” suggesting that would be the case. But does the fact that Education Minister Jeff Johnson has convinced the public make it so? 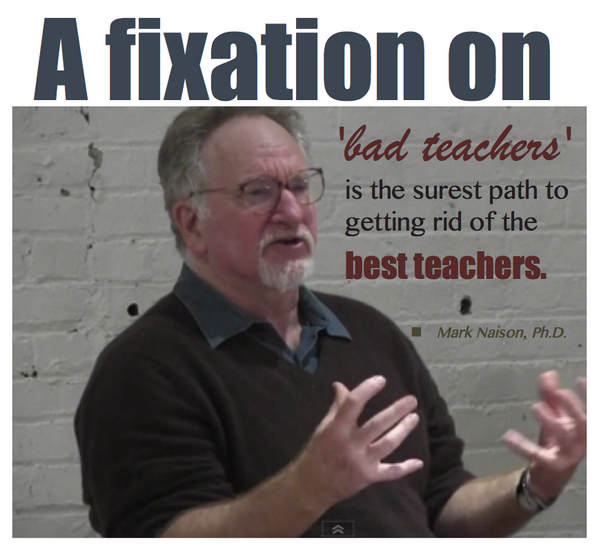 I just finished reading a post from my good friend and co-author of The Relevant Educator, Steve Anderson. His recent post, “Why Formative Assessments Matter” got me thinking about assessments in general and how often they are misunderstood and often abused by well-meaning educators. We have all been taught that there are two categories of assessment, Formative and Summative. Formative assessment is done during a particular lesson to gauge student learning and understanding as the lesson progresses. This often takes the form of quizzes, but there are less formal forms that are as effective. The summative assessment is usually, but not always an exam of some type. It is to determine how much the student learned and understood from the overall experience. This could be a unit exam with various types of questions, or possibly some type of report done by the student. The ideas expressed below are not my own. They are the ideas of another teacher which were then published on the Facebook page for Edmonton Catholic Schools. I felt they are worth a read. A few years ago, I attended a “parent party” for my daughter’s sports team. It was a social gathering of a disparate group of people whose only real connection was the fact that they all had twelve-year-old daughters. It just so happened, however, that several of those twelve-year-olds attended the same school, and had the same teacher. Perhaps unsurprisingly, the conversation turned towards the teacher, and parents were loudly and vociferously complaining about the woman. The thing is… Teachers ARE easy targets. We’ve all been to school and we’ve all known teachers who are more or less capable. We have seen teachers at work, daily, for years, and so we assume that we know exactly what they do. Unfortunately, there are few jobs people can claim to know so intimately, even if they have never done it; sadly, it is this lack of knowledge and understanding, in large part, that has led us to the Task Force for Teaching Excellence debacle with which we are now faced. The really troubling part is that the TF really is a game of political smoke and mirrors for the government. By creating problems where none exist, such as demanding five year recertification or allowing tradespeople to teach without teaching certificates (anyone else see the inherent contradictions in that? ), we are distracted from the real issues that impede true teacher excellence in this province, real issues that the government seems unwilling to tackle creatively and thoughtfully. According to a report by Human Services, 17% of students in this province are living in poverty. SEVENTEEN PERCENT!!! This is reprehensible, given that we are one of the wealthiest jurisdictions in the world. I’ve taught in some low socio-economic areas. As a district consultant, I worked with teachers in schools where nearly every student came from a disadvantaged home. I have seen some truly excellent teachers do amazing work with students, but not even the cream-of-the-crop teachers can do their very best work when students are coming to school hungry. Except. Except that we, the students’ teachers, are only there from Monday to Friday. We can’t help when students’ furnaces quit working during a cold-snap on the weekend and the parents aren’t around to ensure the furnace gets fixed. We aren’t there during Christmas Vacation, when the food from the Christmas Hamper (which the school community collected for and delivered) only lasts three days. I WAS there, however, when a social worker told me she couldn’t do anything about the fact that my fourteen-year-old student had no food in the home, but that because he was fourteen, he could “fend for himself” because he was “resourceful.” Yeah. Resourceful enough to break into cars to look for loose change in order to buy food. Not resourceful enough to not get caught. Poverty is a significant and critical issue facing students, and consequently, teaching and learning. Alberta is a province advantaged in so many ways, including natural resources and an educated and talented population. We should be able to think of new and creative ways to tackle child poverty. If our government can improve students’ living conditions, teachers can get down to the work they really love – being excellent teachers to students. We need to really consider what we mean by inclusive education. There seems to be the impression that inclusive education means that we include all students in a single class, regardless of academic, social, or emotional needs. While this is a laudable ideal, in practice it places an unbelievable amount of pressure on an individual teacher. One of the most recent classes in which a colleague taught had 28 students in it: six students new to the country with minimal or no English language skills (she teaches English), one student with severe emotional/behavioural issues, eight students who had been in Canada for less than three years, four Knowledge and Employability Students, and three students who were above grade level in reading and writing. That left seven so-called “regular” students (whatever that is). On top of that, we could discuss the number living in poverty, the number struggling with mild/moderate disabilities, or the number living in foster care. Assuming that the teacher could meet the exact needs of each and every one of those students, in addition to teaching the grade nine Program of Studies, and assuming that the teacher met standards set by the Provincial Government, teaching becomes a Herculean task, and one not for the faint-of-heart. At times, it is likely that the teacher failed. Would it be her fault, necessarily? Even though she was teaching in what seems like an impossible environment, she continues to put high pressure on herself, as most teachers do in this province. We need to expand our understanding of inclusion. Inclusion should mean that every student is a valued and contributing member of the school community, not that every student is in every class, no matter what. At its best, inclusive education fosters a culture that allows for and accepts difference. It means ensuring the most appropriate learning environment for each child, sometimes within a “regular” classroom and sometimes not. Inclusion is NOT a cost-saving measure, it is a philosophy; that philosophy takes commitment and resources on the part of the government. Those resources have been sadly lacking. If this government can provide those resources, teachers could better deliver individualized programs for each student. The government loves to be able to say that local boards have the decision-making power to determine which schools open and which schools close, which is really just a way of passing the proverbial buck. School boards are being placed in an untenable position. With limited and unpredictable funding, we are faced with schools and neighbourhoods being pitted against one another for improved facilities. Is this really the best way to ensure a positive learning environment for each child in the province? Further, teachers are asked to ensure high levels of engagement using 21st century skills, integrating technology. Easy to say, not so easy to do, when the school building needs to be significantly retrofitted to allow for wifi or electrical outlets. And let’s talk about a learning environment that is consistently too cold or too hot; it’s hard for students to work to their highest potential in those environments, as well. Teacher excellence is significantly impacted by the physical environment in which teachers work. It’s pretty tough to be excellent while doing your job when rainwater is flooding the hallways. When Jeff Johnson says he wants to do “what is right for kids,” he needs to do what is right for families and kids and lobby for increased support for mental health care in this province. It is woefully underfunded and sadly lacking. Schools attempt to provide wrap-around services, understanding that students cannot learn when they are mentally unwell. But for a referral to be acted upon takes months – even years – and in the meantime, students’ learning is compromised. As a teacher, it is a frustrating affair to know that a student in crisis is sitting in front of you. You cannot help speed up the referral process, nor can you reach a student academically when they are emotionally traumatized or unsafe. I have visited students in the hospital; I’ve visited them in group homes. I had a pretty good relationship with all of those kids. That didn’t mean I was able to TEACH them. And because they were unwell, they significantly impacted the safety and learning of students around them. Excellent teaching can only occur when students are physically, emotionally, and academically safe. To make that happen,the government needs to provide timely and improved supports for students and families struggling with mental health issues. Jeff Johnson has repeatedly stated that class size does not have a measurable impact on student learning. Maybe he is right, in some instances. I have taught students from Junior High to Post-Secondary, from classes of 6 to classes of 150; in my experience, the number of students is far less important than the context in which I was teaching. My most challenging class, hands down, was a class of 10 grade eight and nine Knowledge and Employability students. It took ALL of the tools in my teacher toolkit to ensure that students were learning. They each had vastly different academic, emotional, and social needs. Nearly all were from disadvantaged backgrounds. Spending eighty minutes a day with those ten students was physically, intellectually, and emotionally exhausting. What matters MAY NOT be class size. It is, perhaps, the composition of the class that matters more. On the other hand, I also have had a custodian refuse to clean my classroom because there were too many desks and he couldn’t get his broom through the minimal spaces. With that many students in the room, the possibilities for project-based learning, technology integration, or collaborative processes are limited as there is simply not enough physical space. To suggest that class size and composition is as simple as counting bodies in a room is to minimize the complexity of all of the issues with which teachers are faced on a minute-to-minute basis. Both are important, and to say class size doesn’t matter reveals a complete lack of understanding of the teaching profession. By focusing the public’s attention, once again, on issues of supervision and certification, this government is diverting attention away from issues that truly matter to students, to families, and to teachers. The tactic reveals a lack of understanding of the Alberta Teachers’ Association and the profession of teaching. It reveals a deliberate agenda that attempts to weaken the profession; further, it reveals an unwillingness to investigate underlying issues that impact teaching and learning. Jeff Johnson said that he needs to be able to look in the mirror and know that he has done the right thing for kids. Well, every day teachers teach, we look in the mirror and wonder if we have done all that we can for the kids in front of us, given the constraints that bind our teaching. We are doing the very best we can. I have to wonder, however, if this government can say the same.